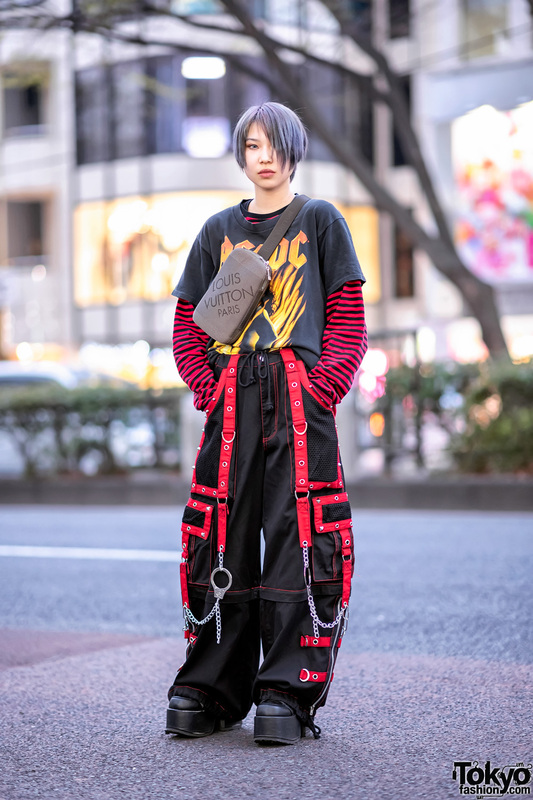 In Harajuku, we met with Lisa and Sayana, two 18-year-old students who easily caught our attention with their school uniform inspired street styles. 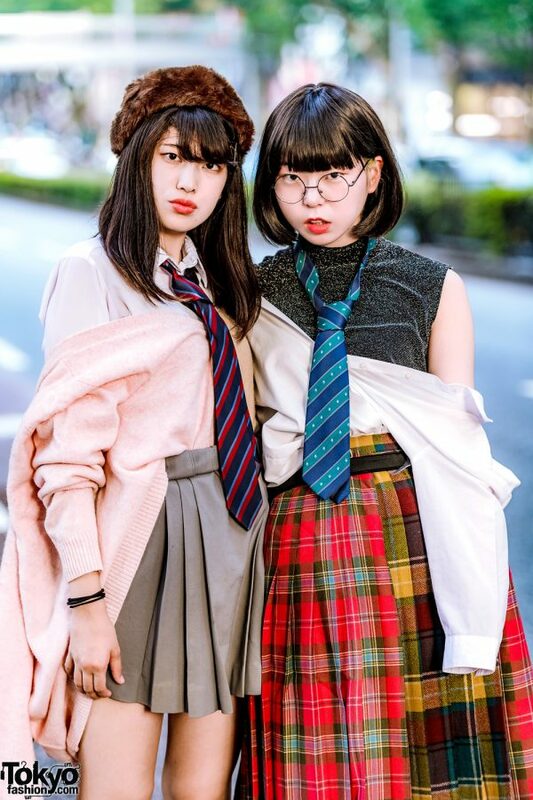 At the left is Sayana, who is wearing a long sleeve white shirt from high school, which she wore with a two-tone pink-and-tan cardigan. She tucked her tops into a short grey pleated skirt – an old high school uniform – donned black socks, and slipped into brown leather loafers. She finished off her look with a brown furry hat, and a striped necktie, which is her father’s. AGT and Vis are two of Sayana’s favorite brands, and she likes the music of My Hair is Bad. For her social media updates, follow Sayana on Twitter and Instagram. Meanwhile, Lisa is dressed in a white long sleeve shirt – from high school – that she layered with a black sleeveless glitter fabric top and paired with a long pleated skirt with mixed plaid panels, which is a hand-me-down from her mother. A black belt, platform sandals bought in Harajuku, round eyeglasses, and a blue striped necktie completed Lisa’s ensemble. Lisa loves listening to One OK Rock. Lisa is also active on Instagram and Twitter.